You can't help but notice how great this razor looks. Once you see it your curiosity will get the best of you. The modern styling of the razor will draw you in. At first glance, this looks like just like the Chrome Futura Safety Razor from the German company Merkur. That one sells for $105.00 but this is the knockoff which is called the QShave I've also seen this advertised as the Ming Shi Shaver 2000S. Now the question is how good is it. I saw the Ming Shi Shaver 2000S for about $12.95 on the Maggard's website and with shipping, it came close to $18.00 so I clicked buy right away. Happy with my purchase I found myself talking about it to a friend on my Wet the Face community. He asked me how much did I spend on it when I told him he replied I got mine for $5.00. I said you're kidding no way and then he sent me the link and he was right I felt like such a fool. So, I called Maggard's and explained to him what my friend just told me. He replied with this logic "You'll have yours in two days while the one from China will take two weeks to arrive". So, I purchased a second one from China as well. I wanted to see if they would be the same and how long it would actually take from China to get to me which I found out to be a little over a week. I opened both razors and saw although they had different packaging (QShave looked the best) they were identical in every way except the one from China was $5.00 plus two dollars for shipping. 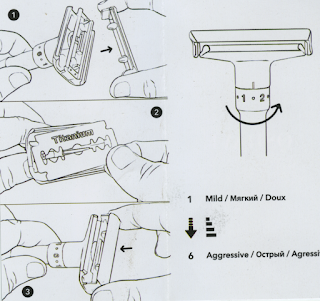 The QShave included a booklet that explained the process of loading the razor which was very helpful the Ming Shi didn't supply any information. The cap or top is held on by a spring system the top snaps on and off making blade changes easy once you get the hang of it. The alignment of the blade (Persona Blue) was perfect and no other additional adjustments were necessary. Both razors came with a 5 pack of samples blades all in their own branded style. Suppling blades makes it easy for the first-time shaver to get started and once they start exploring with other manufactures blades they most likely will be moving on from the supplied offerings. The entire razor has a smooth finish and this might be a problem since this continues around the handle. Most razor manufacturers pay close attention to the grip making sure the shaver would not experience slippage in his or her hands. Could this be an oversight in making sure that they copied the original without any design improvements? We may never know but making sure your hands are dry is a good idea when using this razor. I lathered up my brush with a great soap from Shaver Heaven a nice summer lemon scent. This razor is adjustable with 6 settings 1 being for sensitive skin 6 for harsh course hair I selected 3 right in the middle. Once I placed the razor on my face it was effortless in cutting through my beard. It was like I had already shaven and this continued until I was done. One of the closest shave to date. The realization of having a great shave from the cheapest razor you own is a mind-blowing experience. 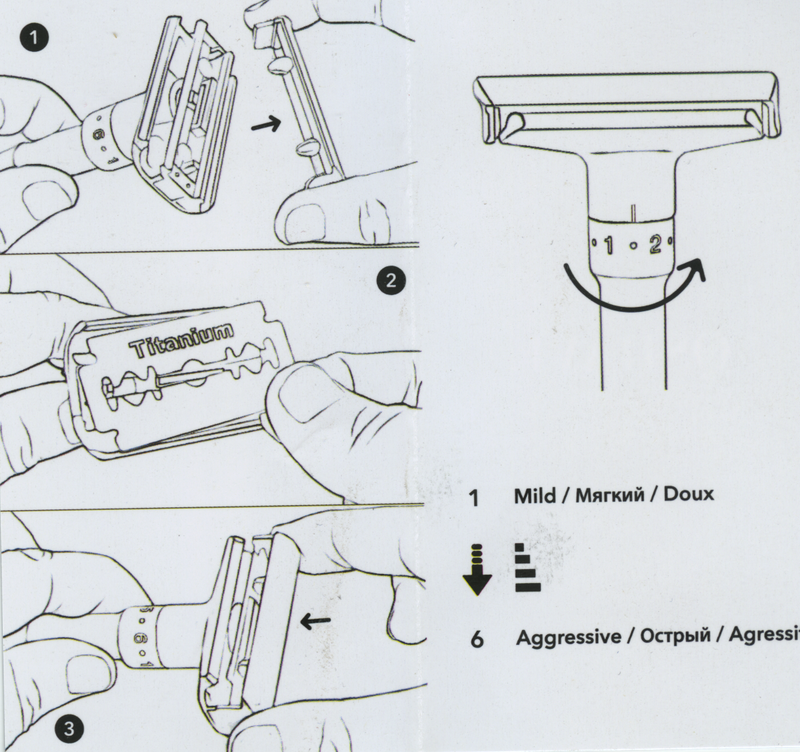 What makes a great razor? Surely, it's not the price since you can buy a OneBlade razor for $400.00 does that make the shave any better I say no. Does it matter how well the razor holds the blade? Could it be the blades that make the difference? I say yes to both questions. Shaving with a dull or inferior blade no matter what razor you use will give you bad results. Perhaps it's the soap that makes the shave? On some level yes, the right slickness, glide, and cushion are all very important to the overall quality of the shave. When you get down to it I think the answer is that all of the factors I just mentioned matter but with each shaver it differs in what degree. I think if you find something that works for you stick with it no matter how much or little it costs because when it's right it's right.